Robin Roy has been training dogs her whole life, starting as a child following her mother, an American Kennel Club obedience judge, around the ring. Robin’s training methods are positive, dog-friendly techniques that work easily—and help you help your dog. 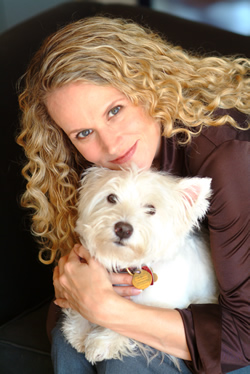 She is a member of the Association of Pet Dog Trainers, the West LA Obedience Club, and the Hollywood Dog Obedience Club, and she has volunteered with a number of rescue groups. She is a certified Canine Good Citizen Evaluator, and is certified in Pet First Aid and CPR. She regularly attends professional conferences and workshops and is always learning—especially from her canine colleagues. She longs for a time when all humans appreciate dogs for the learning and love that they are. © 2018 Robin Roy. All rights reserved.